POLIVOKS had been produced since 1982 by Formanta electronic factory in the USSR. This synthesizer has 2 voices polyphony and bandpass/lowpass filters outperforming the famous Minimoog ones! 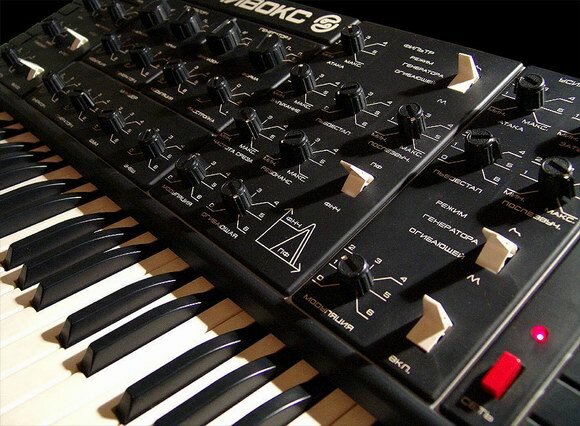 As highly reliable military technologies were applied in the process of production, this synthesizer may be used for hard electronic music.